Scope. This review aims to achieve a parallelism between literature studies on imaging diagnosis, the characteristics of cesarean scar defect and its evolution during pregnancy, and the obstetric consequences that can lead to increased maternal morbidity. Materials and Methods. 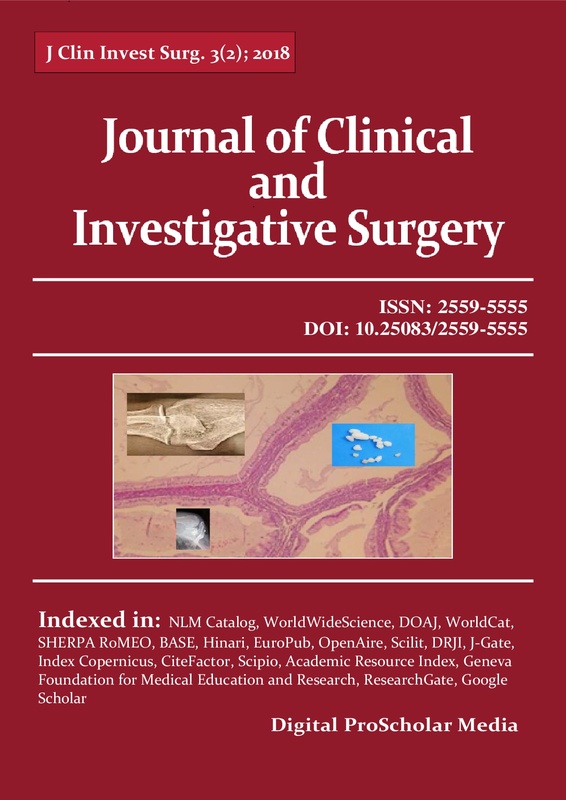 There have been many literature studies published in recent years aimed to identify the methods of diagnosis for cesarean scar defect, the characteristics and the main changes of it during pregnancy, and the risks undertaken by pregnant women undergoing labor for vaginal delivery after a previous cesarean surgery. Results and Discussions. The most commonly used method for visualizing and evaluating uterine scar is transvaginal ultrasound in the first trimester of pregnancy, and abdominal ultrasonography in the II and III trimesters. The two areas characteristic of uterine scarring: “niche” and “thickness of the residual myometrium” undergo changes during the three trimesters of pregnancy. Some studies in the literature reported a higher incidence of uterine rupture, especially when the lower uterine segment fell below 2.3 mm, and a mean thickness of 3.2 mm, higher among multiparous women. A question that still does not have a generally valid answer refers to the hysterorrhaphy technique. There are different opinions among the authors, but most of them consider that after a double layer suture the thickness of the residual myometrium is higher. However, data from the literature show that the incidence of complications such as uterine rupture, dehiscence of the uterine trance are similar, regardless of the type of suture used. Another complication that occurs due to uterine scar is the pregnancy inserted at this level, which in the case of expectancy, leads to an increase in maternal and fetal morbidity. 50% of them evolve to spontaneous abortion in the first trimester, and almost all full-term pregnancies result in hysterectomy of necessity. Conclusions. Due to the many obstetrical and gynecological complications that occur on a uterine scar, an evaluation in dynamics is essential. There are no standardized protocols yet, but the identification and measurement of the uterine scar area in the third trimester may predict the chance of success of the labor test for vaginal delivery after cesarean surgery.